A fundraising CCBP Lottery: more details comming soon. 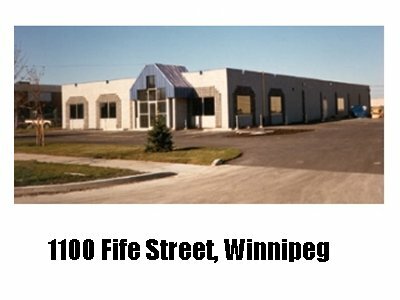 1100 Fife Street, Inkster Park, Winnipeg, Manitoba, Canada. LOCATION: 1500 Wall St, West End, Winnipeg, Manitoba, Canada. A High School Steel Band. The Barbados Association of Winnipeg. The Council of Caribbean Organizations of Manitoba Inc. The Grenadian Association of Manitoba. The Grenadian Association Cultural Performers. Various other community organizations and private individuals. The Caribbean Community Building Project is an independent body comprising of interested and concerned individuals who would like to leave a legacy for the children of people of Caribbean Heritage. Member of the interim management committee comprises of individuals from a wide cross-section of the Winnipeg community and are not necessary affiliated to a community organization. This new Caribbean Community Cultural Centre is now opened to all communities in the City of Winnipeg, Manitoba, Canada. Over the past several years the Council of Caribbean Organizations of Manitoba Inc (CCOM) has made several attempts at acquiring a building to serve as a community centre for the Caribbean Community. CCOM's efforts have included explorations of opportunities to purchase, investigations into the location and condition of certain buildings, and consulations and other interest groups. In the end however, all these efforts were met with cancellations, which resulted in frustration. Eventually, a new player entered the marketplace. An indepentent unit , The Caribbean Community Building Project Initiative took over the reign. With initial financial support / donation from CCOM, the body comprising of several individuals from a wide cross-section of the Winnipeg community. After much consultation with members of the community, a group of concerned individuals have looked at an available building at the corner of Manitoba Avenue and Fife Street. Members of CCOM and others, who have had the opportunity to view the building, have considered it an ideal building for the Caribbean Community in Winnipeg City. The cost of this building is under negotiations. It is anticipated that some financial assistance will come from other sources all three levels of government, but the main responsibility has to rest with the Caribbean Community whose donations, investment, and fundraising efforts must rise to the ocassion in order to make the acquisition of this worthwhile project a reality. The Caribbean Community Building Project is an independent body and is comprised of various interested individuals from the wider Winnipeg community. If you would like to volunteer your time and services towards this community effort please do so by contact the members listed below. Pledge forms are available from members of the building project. Tax receipts are available for donation of CDN$25 and above. Alternately, you can now pledge online. Your personal financial information is not required. Create linkage amoung youths, adults and seniors. These are some of the resources that we will need to allocate to this project in order to archive success. Trade: Plumbers, Electricians, Builders, etc. Support and Outside Services: Accountant, Lawyers, Teachers, Technicians, etc. Sales: Business rental, Equipment, Banquet Hall, Memberships, Programs, etc. Tenant(s): CCOM (the major tenant), HiLife Steel Orchestra, Trinidad and Tobago Society of Wpg Inc, Grenadian Association of Manitoba Inc, Babardos Association of Winnipeg Inc, St Vincent and the Grenadine Association of Manitoba Inc. Located in the southeast corner of the Inkster Industrial Park on the corner of Fife St and College Ave. Private offices, boardroom, 20 ton Liebert A/C with high quality interior finish and appealing brick concrete exterior.